If you are in a position where you feel you might need to do a short sale you need to know about this upcoming deadline. The Mortgage Debt Relief Act of 2007 is set to expire at the end of 2012. What does this mean to you? It means that the temporary provision to waive the taxes that are due on the amount of “income” that is created (on paper) when a debt is forgiven is to expire at th end of this year. Yes, you heard that correctly, the government considers the dollar amount of the difference between what you owe on your home and the amount that you are able to now sell your home, (the amount that the bank is forgiving on your loan as the result of a short sale), as income to you that you must pay taxes on. When you consider that the average amount of time, (your experience may vary), to complete a short sale has been about 6 months that makes this valuable information that must be considered. Based on this, now is a good time to start the process by getting your home on the market. 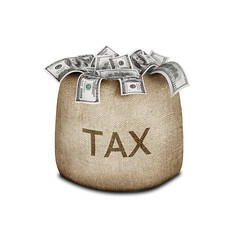 Here is a link to the IRS information regarding this deadline http://www.irs.gov/individuals/article/0,,id=179414,00.html. Please let me know if I can help with this in any way or if you just have questions about the process. I am here to help.